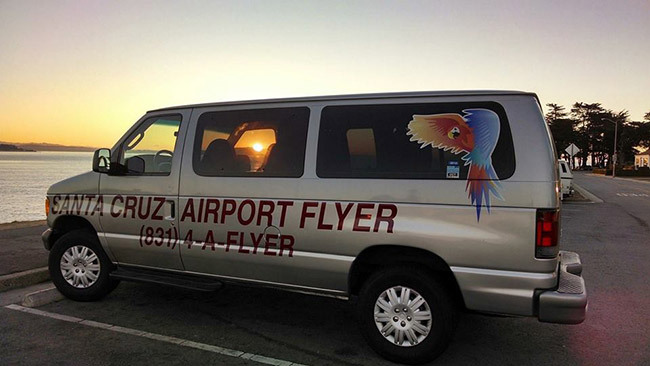 Please visit our sister company the “Santa Cruz Airport Flyer” if you are looking for a scheduled shared-ride shuttle service. This service has pick-up and drop-off locations in Aptos, Santa Cruz & Scotts Valley and currently serves San Jose Airport and San Francisco Airport. Please click here to visit the Santa Cruz Airport Flyer web site.